In order to satisfy the variegated requirements and demands of our valuable clients, we are actively indulged in providing superior quality range of Silver Brazing Alloys. The offered range is developed by our trained professionals using quality tested basic materials and modular techniques in accordance with set industrial standards. Furthermore, the offered products can be obtained by our clients at feasible prices. KM 72 - Eutectic alloy used in Vacuum / Furnace Brazing. KM 61 - Extensively used in Electrical Industry for Brazing of Contacts. KM56ZC & KM45 - Cadmium free alloy for food handling industry. KM50 NWC - Cadmium free Brazing alloy for Carbide Tip Tools under go PVD Coating. Incorporated in the year 1980, Kranti Metallurgy Pvt. Ltd. is one of the renowned manufacturers, traders and suppliers of quality approved collection of Silver Brazing Products, Carbide Tool, Brazing Products, Copper Brazing Products, Brazing Flux Powder, Brazing Flux Paste, Brass Brazing Products and Gas Welding Products. 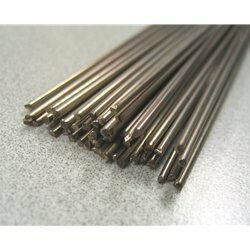 The products provided by our organization are highly appreciated and demanded in the market for their superb quality, high tensile strength, high efficiency, strong construction and long service life. Our offered products are manufactured by our diligent professionals with the help of highest quality components and sophisticated machines. Furthermore, these products are in conformity with the global quality standards. Our offered assortment is accessible in a wide range patterns, sizes and dimensions according to the specifications provided by our respected customers.